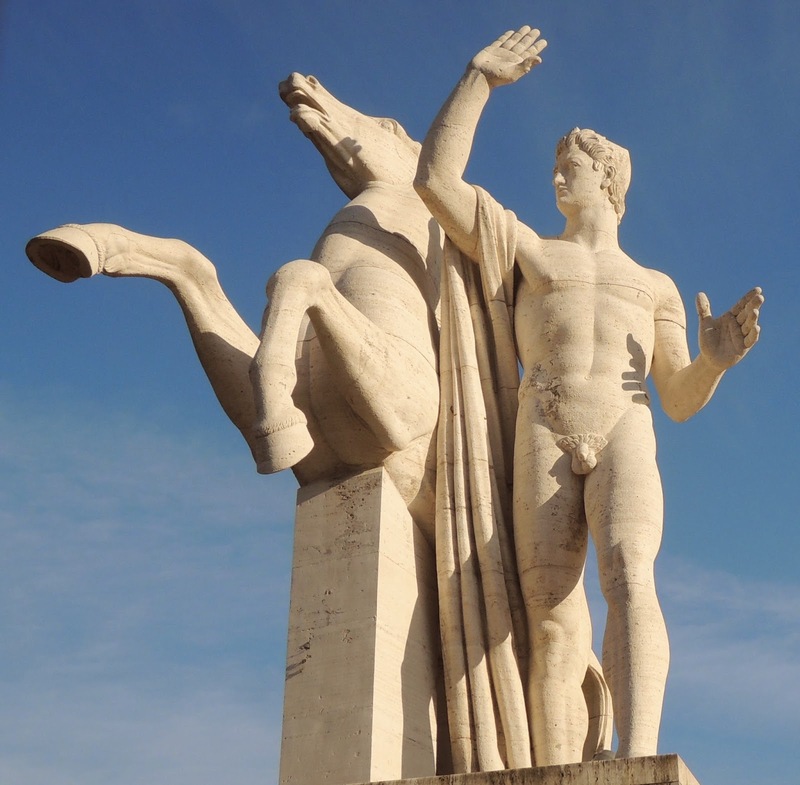 For the third time this Advent we have the twin horse trainers, Castor and Pollux. 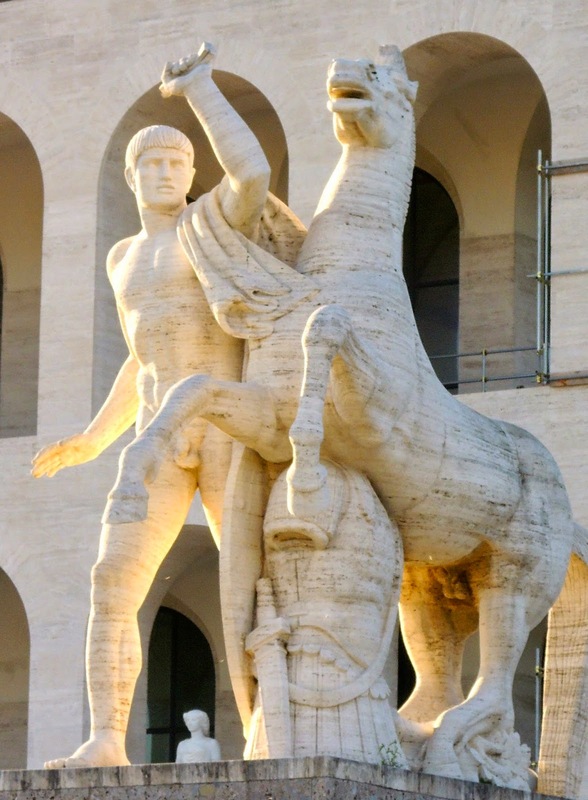 They stand around the base of the Palazzo della Civilità del Lavoro, or the Colosseo Quadrate - Square Colosseum in the 20th-century Roman neighbourhood of EUR. 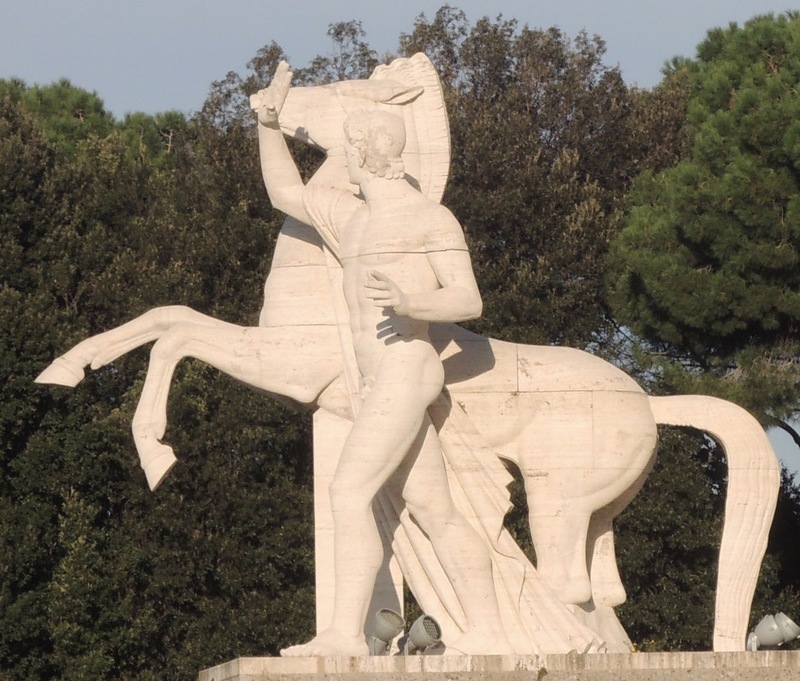 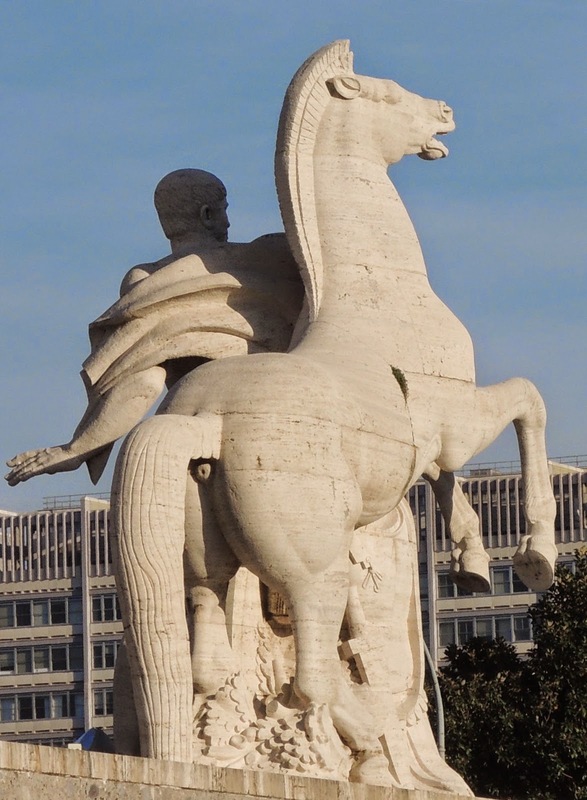 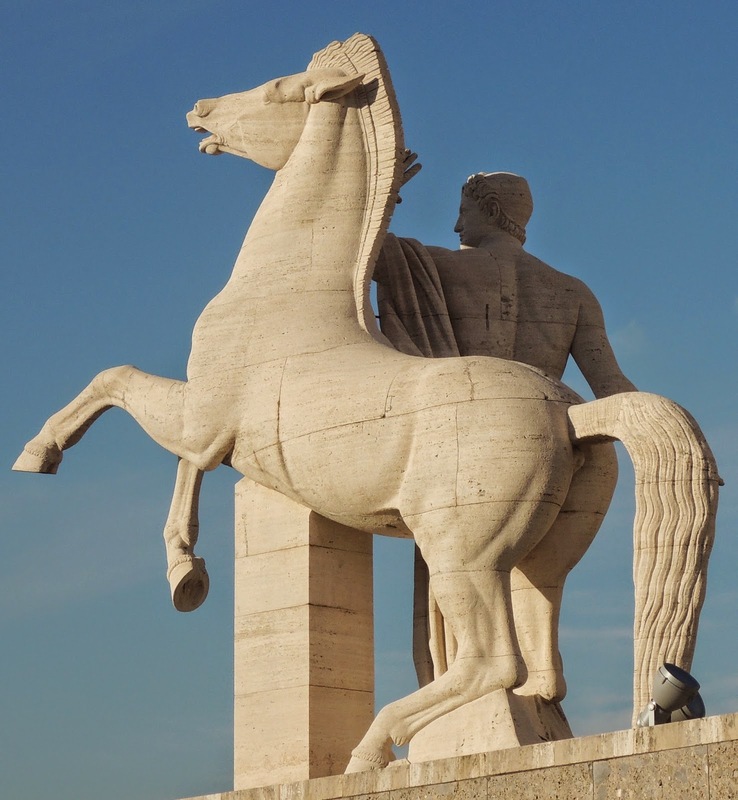 These equestrian sculptural groups are by Publio Marbiducci and Alberto de Felci. 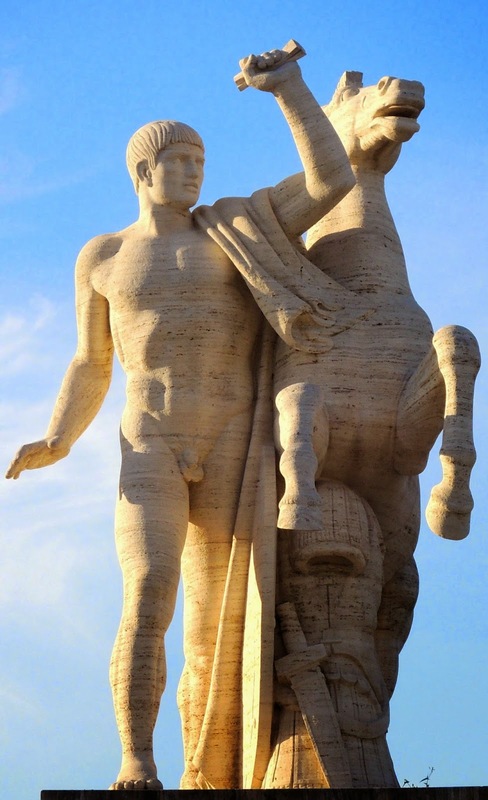 The building was designed for the Exposition Universale Romana, the 1942 World's Fair that never happened because of World War Two. 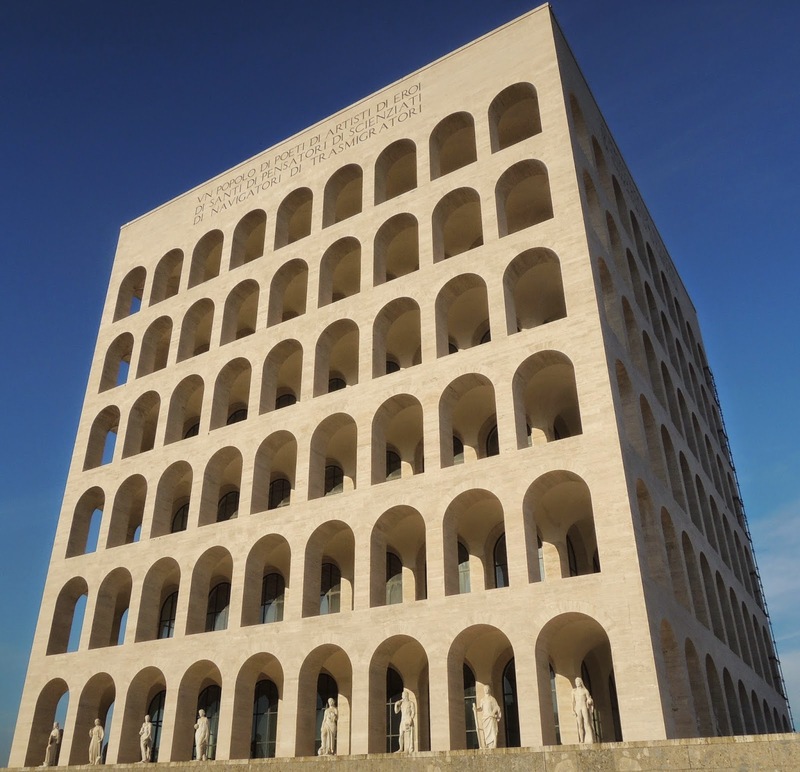 The architects were Giovanni Guerrini, Ernesto Bruno La Padula and Mario Romano, and it was built between 1938 and 1943. 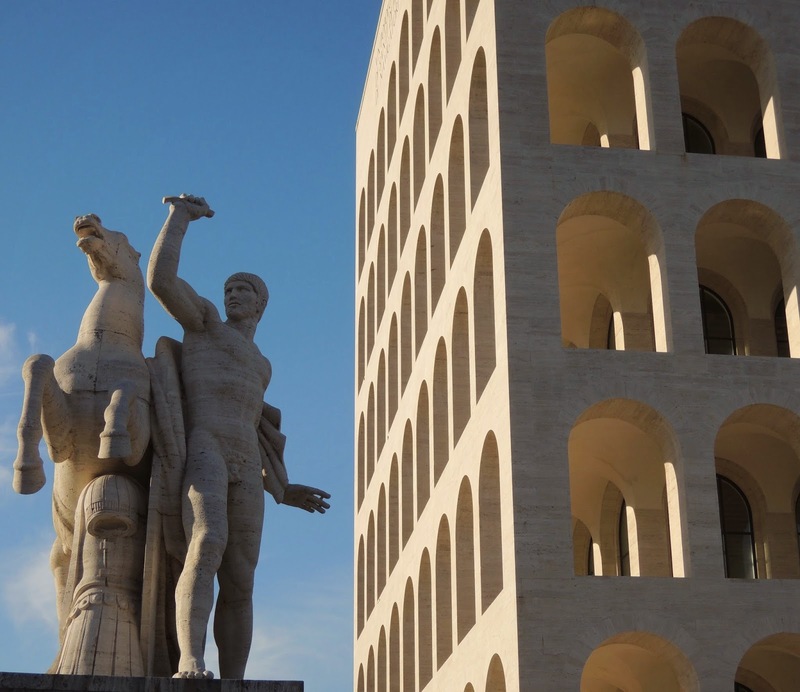 The palazzo is currently undergoing renovation to become a headquarters for Fendi, the Italian design company.